You will need a removable drive connected to your old computer that you can use to transfer the files to your new computer. On your old computer, right click on the TypeItIn icon in the task bar tray and select Setup from the pop up menu. Next find the Backup section in the Settings Tab. Click the Select Backup Folder button and find the removable drive you want to use. Then click the Create Backup Now button to copy the button information files to the removable drive you selected. 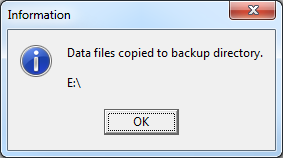 You will see a dialog box confirming the files were copied to the drive you selected. Click OK and safely disconnect the removable drive from the computer. 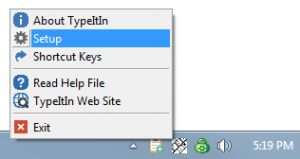 Install TypeItIn on your new computer and connect the removable drive. Open TypeItIn Setup and go to the Backup section. Click the Restore from Backup button. You will see a dialog box asking you if you want to automatically restore the latest available backup. Click No to manually select the file you created on your old computer. 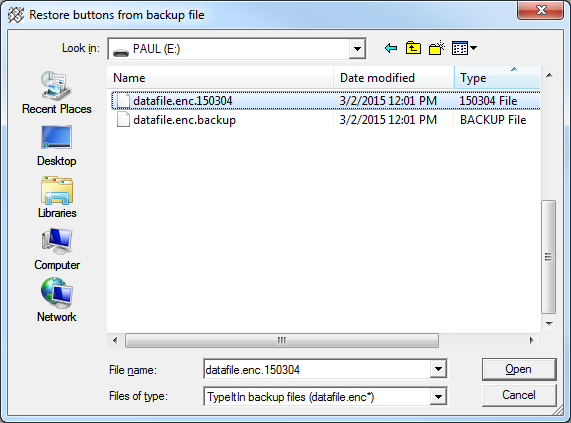 In the File Dialog navigate to the Removable Drive and select the datafile.enc.yymmdd file. The last 6 numbers of the file name represent the date the file was created in the yymmdd format. Select the file and click Open to import your buttons.